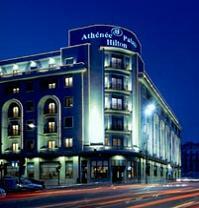 Hotel description: Bucharest’s first international hotel provides its guests with the level of service and comfort that comes hand in hand with the name Inter-Continental. 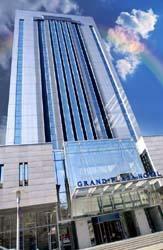 Hotel description: The Marriott Grand Hotel is the biggest multifunctional complex of its kind in Romania, situated in Bucharest, close to The Parliament Palace ( Ceausescu's House). 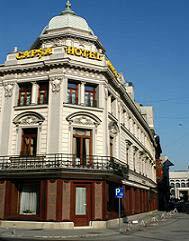 Hotel description: The "Casa Capsa" hotel is situated on Edgar Quinet Street in the historic heart of Bucharest, just minutes from the museums, theatres, restaurants and shops. Hotel description: Crowne Plaza Bucharest hotel, has a perfect location between Bucharest city centre (five minutes) and Bucharest international airport (15 minutes) in a green and fresh area. Hotel description: This five-star hotel is situated in the heart of Bucharest’s business, shopping, historical and cultural areas, within easy reach of government offices, embassies and banks. 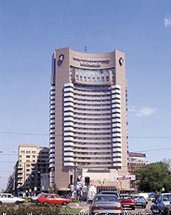 Hotel description: Howard Johnson hotel is located in the heart of Bucharest - there are many shops, restaurant and some of the city's sights re within walking distance. 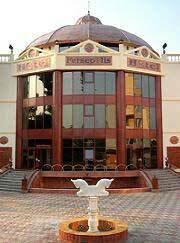 Hotel description: Persepolis hotel is a veritable palace of luxury that offers every delight a visitor could want. The 3 bars of the Persepolis Hotel create the perfect place for relaxing before or after dinner. © 1998 - 2014 Delta Travel Services srl, Bucharest Romania. All rights reserved.